Our instructors teach at both St Louis area schools on different schedules. They are trained in all belt levels up to their current rank and tip. 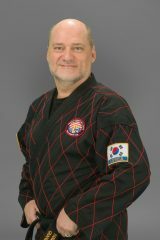 Grand Master T. H. Park is an 8th degree black belt in Tae Kwon Do. Office Manager – Young Park. Currently a 2nd degree black belt. 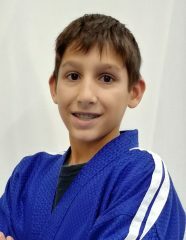 Head Instructor – Anthony Muscarella. 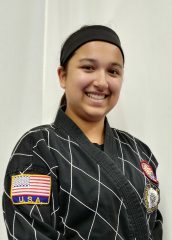 He started out with his daughter, and both earned their first degree Black belt together. 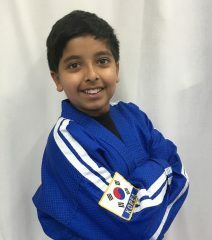 He has been in TKD since 2006. Currently a 4th degree black belt. 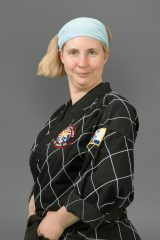 Instructor – Debbie Bray. She and her husband with their three children started together around 2001, and all advanced to at least 2nd degree. 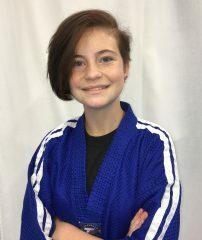 She enjoys working out and learning with her family. TKD has kept them very fit and healthy. Currently a 4th degree black belt. 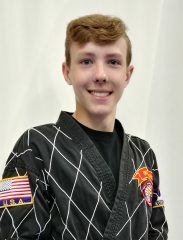 Instructor – Joe Beirne. 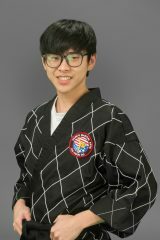 He has been studying with Grand Master Park for many years. Currently a 4th degree black belt. His “day” job is as an Emergency Medicine Physician at Missouri Baptist Hospital. 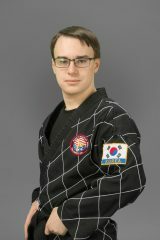 Instructor – N’Su Kim. Currently a 4th degree black belt. 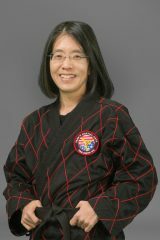 Instructor – Christine Park has a twin, Diane. 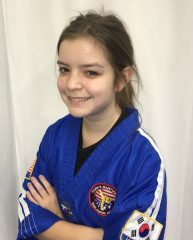 She has been studying TKD under her father’s teaching for over 10 years. Currently a 3rd degree black belt. 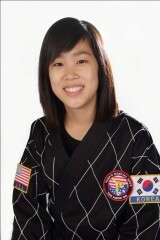 Instructor – Diane Park has a twin, Christine. 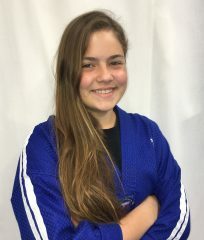 She has been studying TKD under her father’s teaching for over 10 years. Currently a 3rd degree black belt. Instructor/Secretary – Karen Hayn. 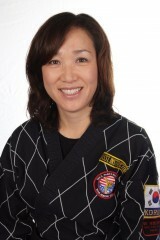 She began Tae Kwon Do with her daughter, who is now a Jr Leader. 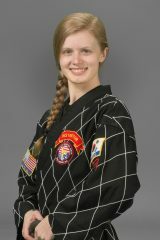 Currently a 3rd degree black belt, she teaches at both St Louis area schools. Instructor – John Howe. Currently a 3rd degree black belt. Instructor – James Marjamaa. Currently a 3rd degree black belt. 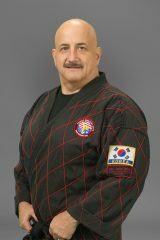 Instructor – Alex Adler. Currently a 3rd degree black belt. 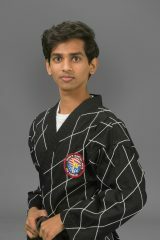 Instructor – Nikhil Boddu. Currently a 3rd degree black belt. 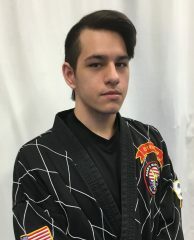 Instructor – Ryan Kee. Currently a 3rd degree black belt. 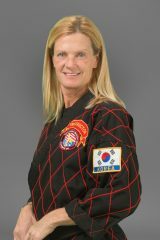 Instructor – Mary Hoeft. Currently a 2nd degree black belt. 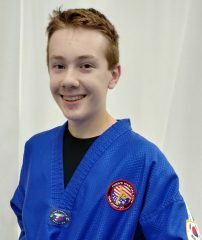 Instructor – Reid Lawson. Currently a 2nd degree black belt. 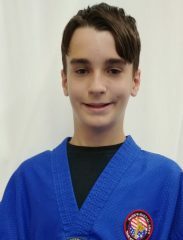 Instructor – Ryan Santoni. Currently a 2nd degree black belt. 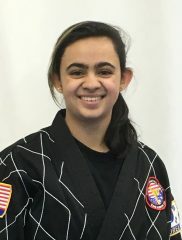 Instructor – Anshika Saxena. Currently a 1st degree black belt. 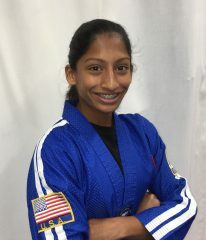 Junior Leader – Riya Aradhyula. Currently a 3rd degree black belt. Junior Leader – Jimmy Flores. Currently a 3rd degree black belt. Junior Leader – Aemy Hayn. Currently a 3rd degree black belt. 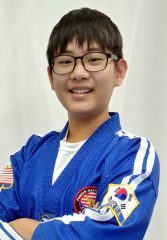 Junior Leader – Sean Kee. Currently a 2nd degree black belt. Junior Leader – Aaron Marjamaa. Currently a 2nd degree black belt. 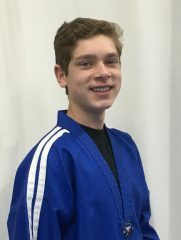 Junior Leader – Josiah Hawkins. Currently a 2nd degree black belt. 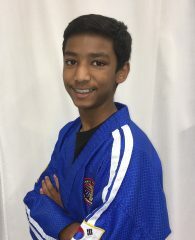 Junior Leader – Ritvik Jain. Currently a 1st degree black belt. Junior Leader – Lydia Perry. Currently a 1st degree black belt. Junior Leader – Taha Shakeel. Currently a 1st degree black belt.. Junior Leader – Allison Rea. Currently a 1st degree black belt. Junior Leader – Luke Lung. Currently a 1st degree black belt. 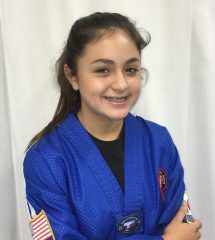 Junior Leader – Isabel Jimenez. Currently a 1st degree black belt. Junior Leader – Alkhansa Budiman. Currently a 1st degree black belt. Junior Leader – Shafwa Budiman. Currently a 1st degree black belt. Junior Leader – Alicia Morris. Currently a 1st degree black belt. Junior Leader – Tarun Ravikumar. Currently a 1st degree black belt. 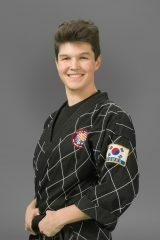 Junior Leader – Jamie Park. Currently a 1st degree black belt. Junior Leader – Navya Nagpal. Currently a 1st degree black belt.